Why jurors are rejecting the death penalty. There used to be 300 death sentences each year in the United States. Last year, there were just 30. 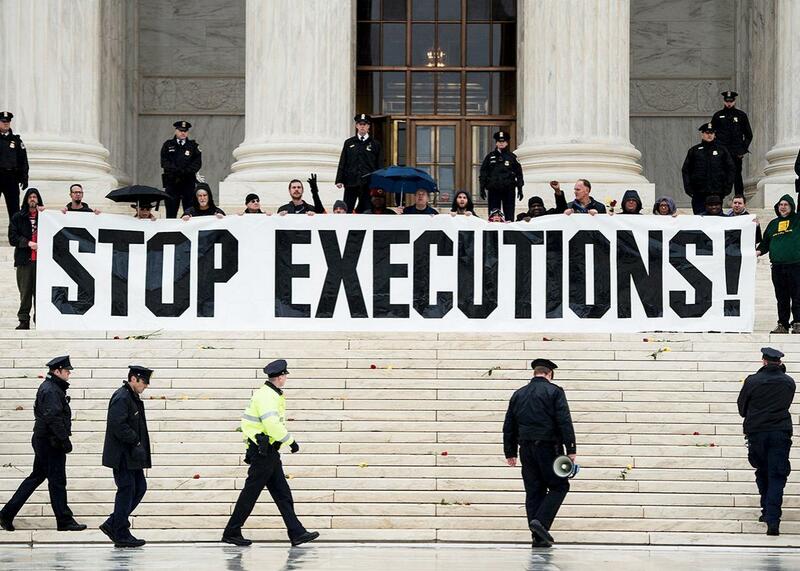 Police officers gather to remove activists during an anti–death penalty protest in front of the Supreme Court on Jan. 17 in Washington. Prosecutors in Wake County, North Carolina, have sought the death penalty in eight cases over the past decade. * Each time, jurors have rejected the sentence, most recently in March. The most recent time Wake County jurors imposed a death sentence was a decade ago. “At some point, we have to step back and say, ‘Has the community sent us a message on that?’ ” Freeman told reporters in February. Our research also shows there is a strong “muscle memory” effect in death sentencing. Counties that have issued a death sentence in the past are far more likely to obtain more. What explains this substantial effect? Prosecutors may get in the habit of seeking the death penalty, even when neighboring counties do not. Perhaps losing a capital trial can put a damper on that enthusiasm. Generally, once that muscle memory fades, counties do not get it back. Indeed, the counties that started out with the most death sentences have experienced the biggest declines over the past 15 years. 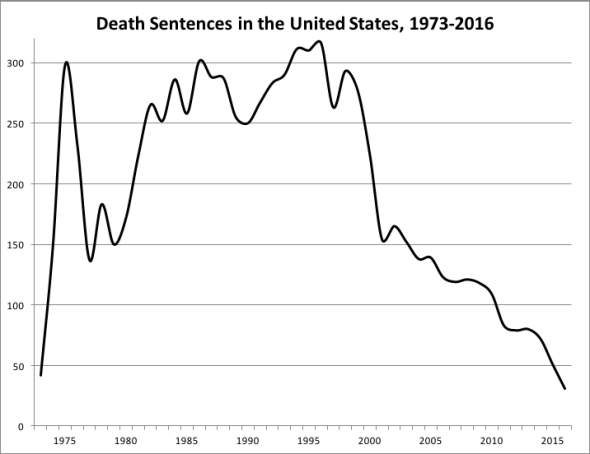 For example, in Harris County, Texas, where in the mid-1990s prosecutors led the country by securing 15 or more death sentences per year, there were no death sentences at all in 2015 or 2016. As the death penalty fades, jurors may become more and more skeptical of its utility. Last year, psychologists Daniel Krauss and Nicholas Scurich joined me in surveying nearly 500 people summoned for jury duty in Orange County, California, an area that regularly imposes death sentences. We found that one-third of jurors—a surprisingly high share in that fairly conservative county—would not qualify to serve on a capital jury because they opposed the death penalty on principle. About one-quarter—a separate group from the one-third of jurors described above—said they would not convict someone of capital murder if that meant the defendant would be executed. Most strikingly, two-thirds of all jurors we surveyed said the fact that there had not been an execution in California in a decade made them less likely to sentence a person to death. Our sample included both liberal and conservative jurors, and it consisted of whites, blacks, and Latinos, demonstrating that concern about the death penalty is broad-based. The responses of these jurors reveal why the death penalty is already at the end of its rope, no matter what tough-on-crime officials say. In 2015, the late Supreme Court Justice Antonin Scalia wrote it would be undemocratic for the court to decide whether the Eighth Amendment forbids the modern practice of capital punishment—that the issue should be left “to the People to decide.” Well, the people are now speaking, and their message is coming through loud and clear to prosecutors like Lorrin Freeman: The death penalty’s time has come and gone.